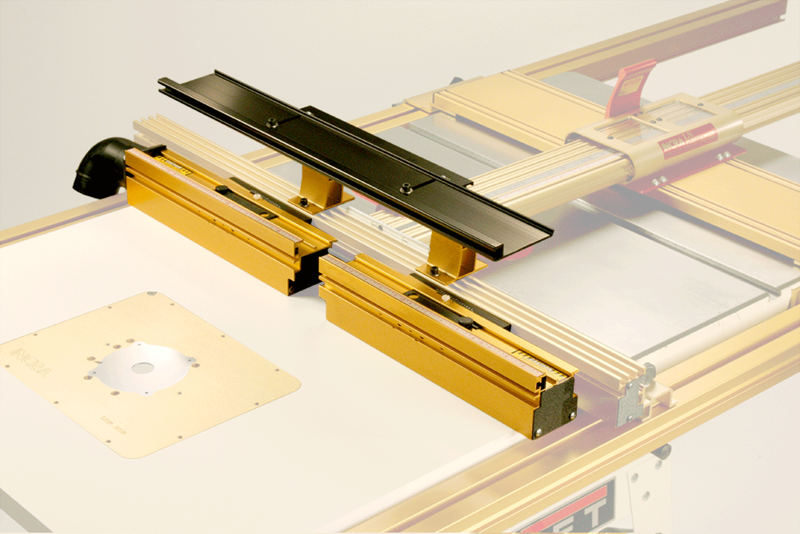 All INCRA Router Tables and Combos include the outstanding MagnaLOCK™ Aluminum Router Mounting Plate, but you can also upgrade to an INCRA Router Lift for the ultimate in convenience and accuracy. Router plate size: 9-1/4" x 11-3/4" x 3/8". Please choose the right MagnaLOCK™ Plate for your router table, you can also purchase the combo WITHOUT the router plate. This is a perfect all-around system for smaller shops. 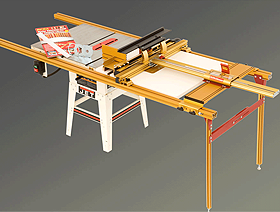 The 32" or 810mm capacity TS-LS rip fence system is matched with a complete package of the routing accessories included with LS Router Table Systems. 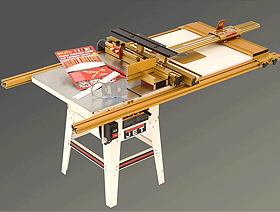 The 28" x 21" left-side router table (32" x 21" on XL version) allows you to work from the end of the router table for better access around the router and allows great capacity between the fence and router bit. 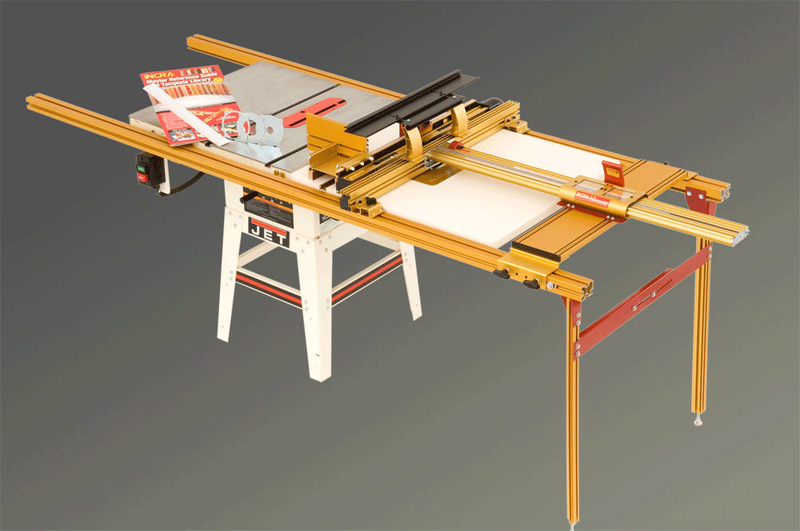 The left-side router table is also more than twice the size of the cast iron extension wing it replaces for more support when cross cutting long boards or ripping plywood. Download the Compatibility Chart for more information. Includes everthing described in The TS Combo #1 but Substitutes a longer Fence and Basemount components along with the larger TSRT3221L. 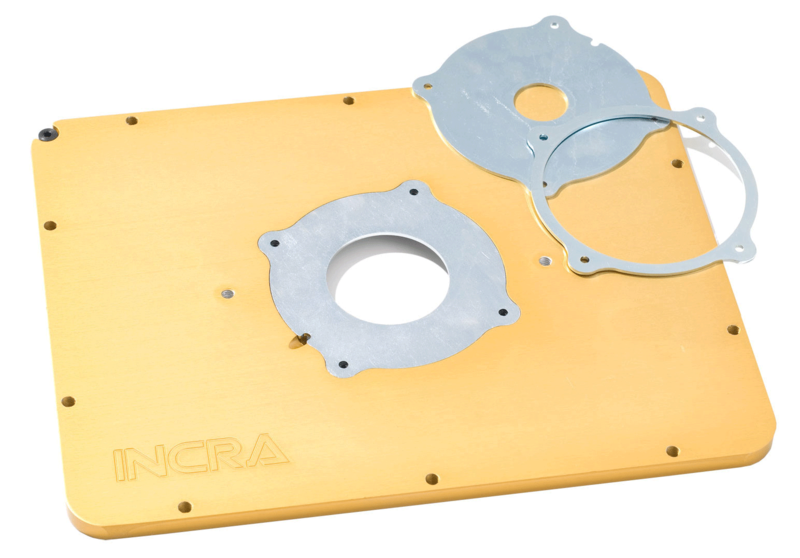 * INCRA MagnaLOCK™ Plates are available in 10 different mounting hole patterns to fit most popular routers. Ask your Dealer about which plate to order for your router. For less common routers, we have blank plates available, which you may drill with any custom mounting hole pattern. Combo #2 is not compatible with saws that have a motor housing protruding from the right side of the saw due to potential interference between the motor housing and the router itself. In TS Combo #3, the 52" or 1320mm capacity TS-LS rip fence system is ideal for larger shops or those with the frequent need for large panel capacities. 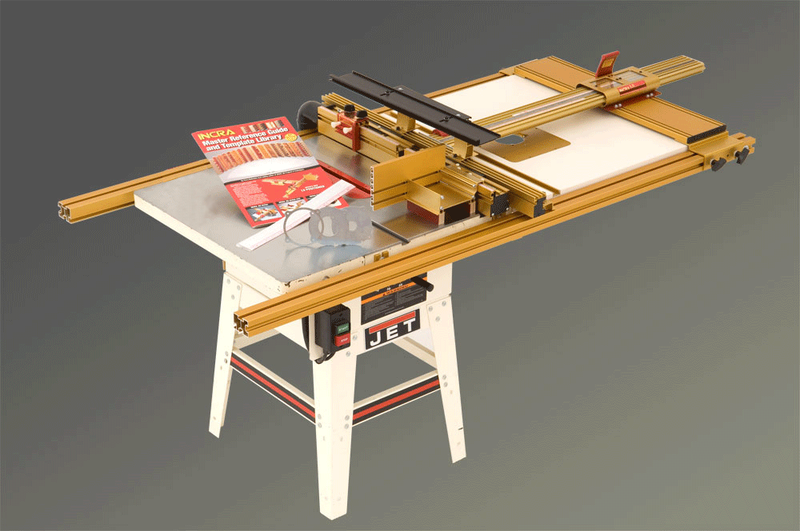 In addition to including the same routing accessories found in the LS router table systems, TS Combo #3's 28" x 21" left-side router table (32" x 21" on XL version) allows you to work from the end of the table for better access around the router and allows great capacity between the fence and router bit. 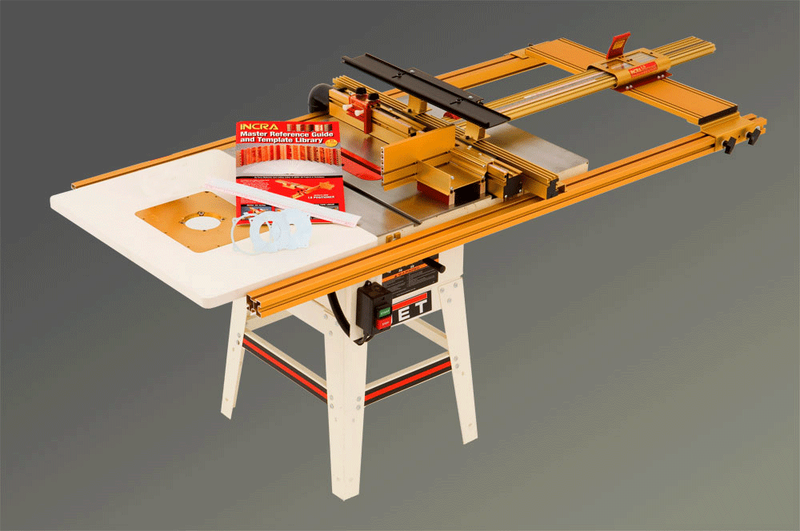 The left-side router table is also more than twice the size of the cast iron extension wing it replaces for more support when cross cutting long boards or ripping sheet goods. 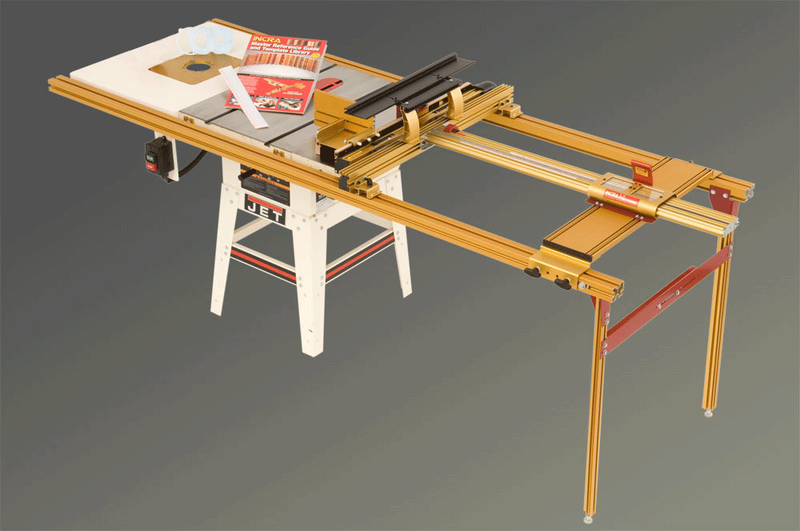 Because the router table replaces the saw's original left-side extension wing, TS Combo #3 is not compatible with saws that have a motor housing protruding from the left side of the saw due to potential interference between the motor housing and the router itself. The 52" or 1320mm capacity TS-LS TS-LS rip fence system is ideal for larger shops or those with the frequent need for large panel capacities. 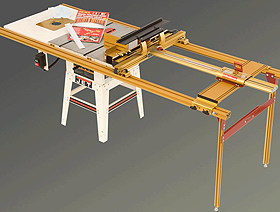 TS Combo #4 includes all of the routing accessories found in the LS router table systems, and the 28" x 32" right-side router table (32" x 32" on XL version) helps fill the space between the rails to the right of the saw, though access is somewhat limited compared to the left-side router tables. 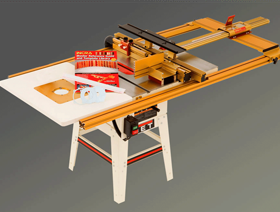 The extra length of the TS-LS rails also gives you the option of keeping the saw's original right-side extension wing and mounting the router table further to the right on the rails. 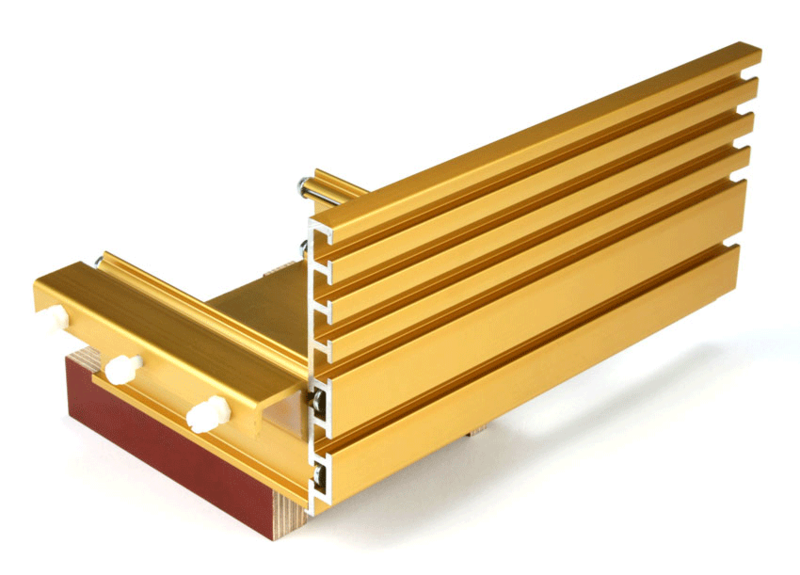 INCRA Wonder Fence A heavy-duty, one-fence solution designed for all your routing operations, shaping, edge-forming and precision joinery. 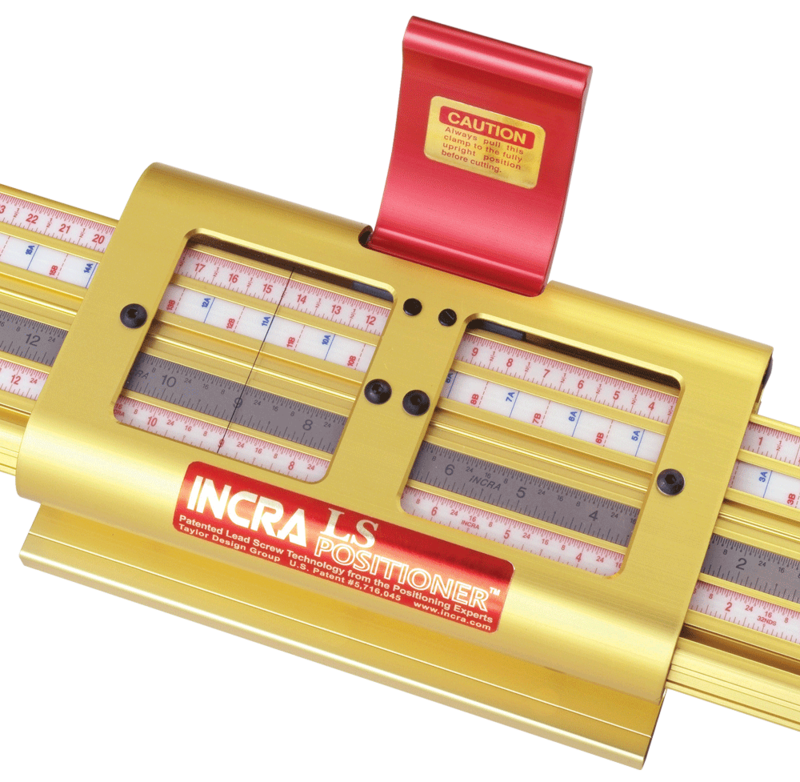 INCRA Shop Stop Patented Automatic Positioning Control and micro adjustability mean instant, repeatable accuracy without measuring or trial and error setups. INCRA JUMBO Right Angle Fixture The Right Angle Fixture is used to hold your workpiece perpendicular to the table surface during end grain cutting operations. MagnaLOCK™ Plate & 3 MagnaLOCK Ring Inserts Solid Aluminum MagnaLOCK™ Plate & 3 MagnaLOCK Ring Inserts (1", 2 1/8 and 3 5/8"). 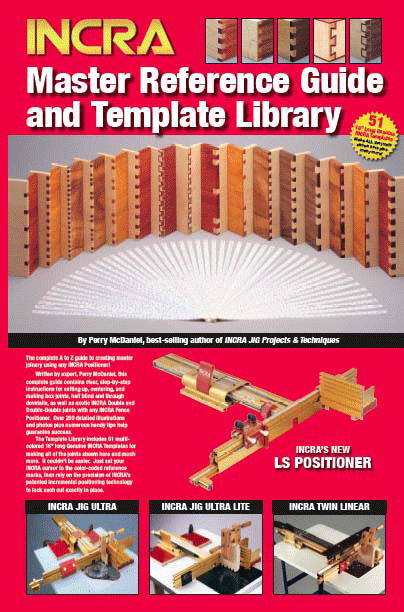 Click to download INCRA TS-LS Fence System Router Table Compatibility Chart in PDF format. Click to download INCRA All Combos Brochure in PDF format. 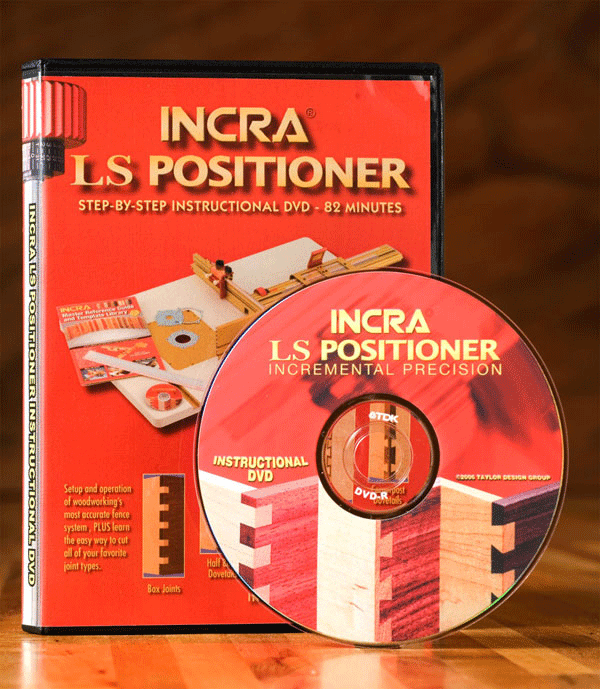 Click to download INCRA TS-LS Combo #1 Video in Windows Media format. Click to download INCRA TS-LS Combo #2 Video in Windows Media format. Click to download INCRA TS-LS Combo #3 Video in Windows Media format. Click to download INCRA TS-LS Combo #4 Video in Windows Media format. INCRA 8pcs MagnaLOCK Ring Set For upgrading an existing INCRA Table Saw System. 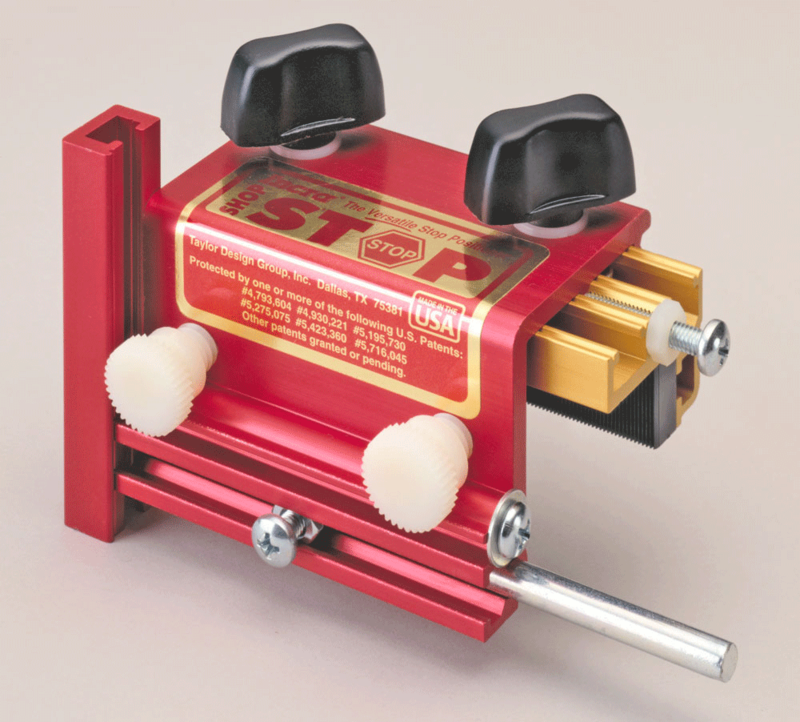 TS Router Table Mounting & Support Kit	Great for mounting user-made tables to the TS Rail System. INCRA HingeCrafter Router Bit Set 8-Piece INCRA HingeCrafter Router Bit Set, (1061, 1066, 1076, 1084, 1431, 1432, 1432A, 1433). INCRA Joinery Router Bit Set 6-Piece INCRA Joinery Router Bit Set, (1058, 1062, D9-376, D14-55, D7-625, D7-750).